“People”, who didn’t manage to nab their seats fast enough for the Menier Chocolate Factory’s Funny Girl can most definitely rest easy in the knowledge that this acclaimed and triumphant revival is an even bigger and better show following its transfer across the river to the Savoy. 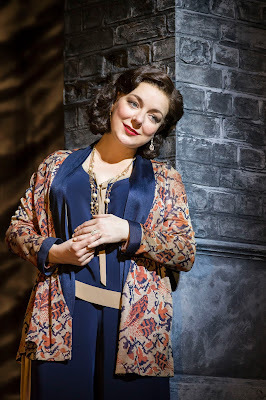 Sheridan Smith’s Fanny Brice simply oozes star quality. Her comic moments are sublime, as is the heartbreak in her portrayal of Brice’s journey as the laughs fade and her world turns ever so less funny. Smith’s versatility as an actress is displayed to heart rending consequences. She grabs the audience with her quirky grin, comic panache and a varied quip of one liners and expressions sure to catch anyone’s eye, quickly proving that she has what it takes to sweep both the dashing Nick Arnstein and the audience into both her life and our hearts. Darius Campbell plays Arnstein to perfection and opposite Smith, gives us a pairing you’ll want to root for and hate in equal measure as the tale unfolds. Equally, Marilyn Cutts as Mrs Brice gives us an all too stern, yet familiar (and alongside her friends, hilarious) mother to Fanny. Michael Mayer’s flawless direction has allowed the transfer to grow effortlessly on to the Savoy’s stage. Lynne Page’s choreography is much more refined and suited to the larger house here, with numbers such as Henry Street and the ever so hilariously diplomatic Rat-Tat-Tat-Tat evolving from impressive, to now “stand out” at the Savoy. In particular, the magnitude and accomplished intricacy of Page’s Temporary Arrangement truly dazzles in its new home. A nod too to the ensemble, whose efforts in such a fast paced “conveyor belt” of a show, both literally and metaphorically, provide the backbone to both Fanny’s fast moving world and this epic production. Arriving (almost) hard on the heels of Gypsy, there’s more of Jule Styne’s sensational music to fill the Savoy. Under Theo Jamieson’s baton the 14 piece band provide pizzazz and nuance in equal measure as they deliver so many seasoned songbook favourites. 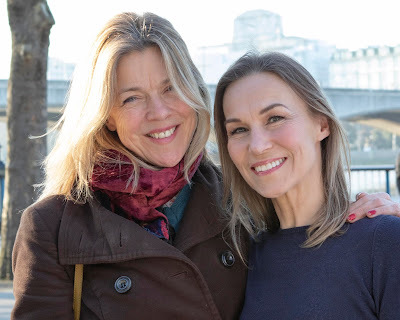 Harvey Fierstein too has done a fabulous job in fine-tuning Isobel Lennart’s original book, proving that even the greatest shows can be improved upon. Just, for one minute, take a look back at London’s theatre landscape over the last 12 months. It is incredible that so many of this nation’s smaller and regional theatres have transferred sensational revivals of Broadway classics into West End houses (and, in the case of the Menier’s The Color Purple, even back to Broadway itself!). Britain’s theatre practitioners lead the way, with Funny Girl proving yet another 5* example of world class Theatre.